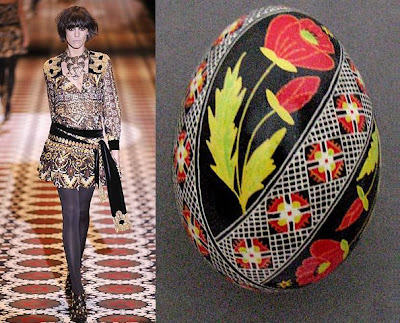 If Tani wrote about Ukraine i`ll continue this great story and i`ll wrote not about Ukrainian Fashion Week i`ll write about World Fashion. 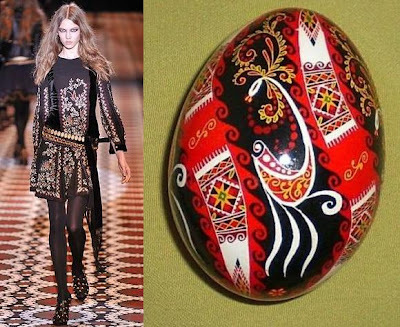 I`m proud that i`m Ukrainian and I want to tell you about Greaters Catwalk fashion that used Ukrainian traditional elements in their collections. 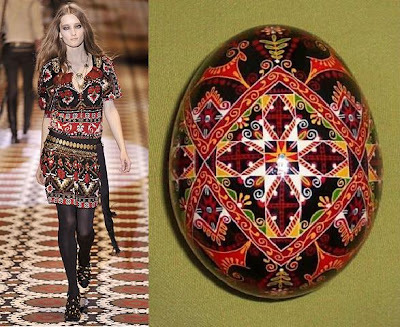 If you take a look at pictures down here you`ll see old Gucci collection in Hippy-style. 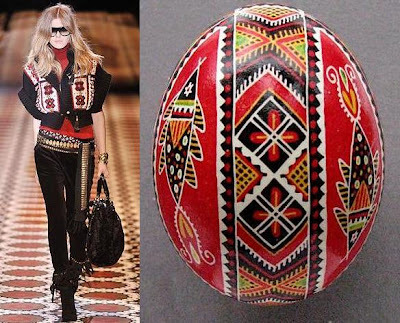 But if you be more careful you`ll see Ukrainian Pysanka Ornaments. 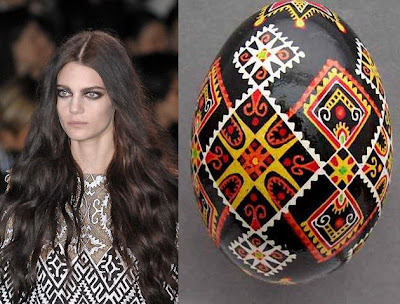 Pysanka is traditional Ukrainian Easter eggs decorated using a wax-resist 'batik' method. 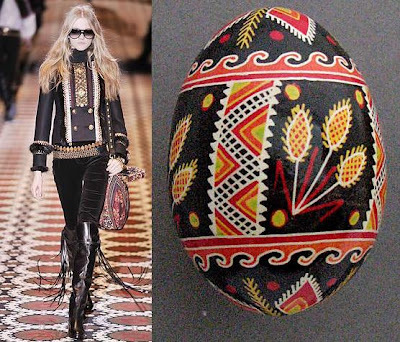 The Hutsuls (Ukrainians who live in the Carpathian Mountains of western Ukraine) believe that the fate of the world depends upon the Pysanka. 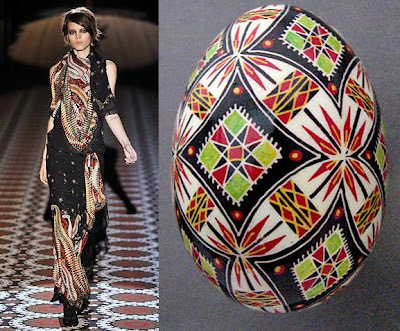 As long as the egg decorating custom continues, the world (and those in it) will exist. A fitting comparison when you consider the number of people who believe that, as long as Gucci continues producing new collections, the world of fashion stands a fighting chance. 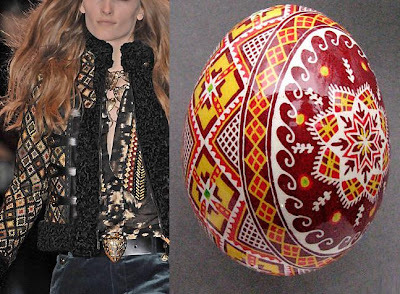 In next post i`ll show you more designers that used Pysanka ornaments in their Famous collection..
New LE... Or is it Antidote?